Robert Francis Commagère, 73, left this world with the sunrise on Aug. 22, after a 16-month battle with pancreatic cancer. Known as “Robin” to his family and friends he died in his home in the Brentwood area of Los Angeles, surrounded by his family. The only child of Maridel Francis (of Spokane, Wash.,) and Robert Anthony Commagère (of New Orleans) he was born in Los Angeles on Aug. 13, 1944, a product of romantic war-time love and a subsequent happy home. In 1958 his family moved from Encino, where he attended both Hesby Street School and Birmingham Junior High School, to Laguna Beach where he attended Laguna Beach High School. 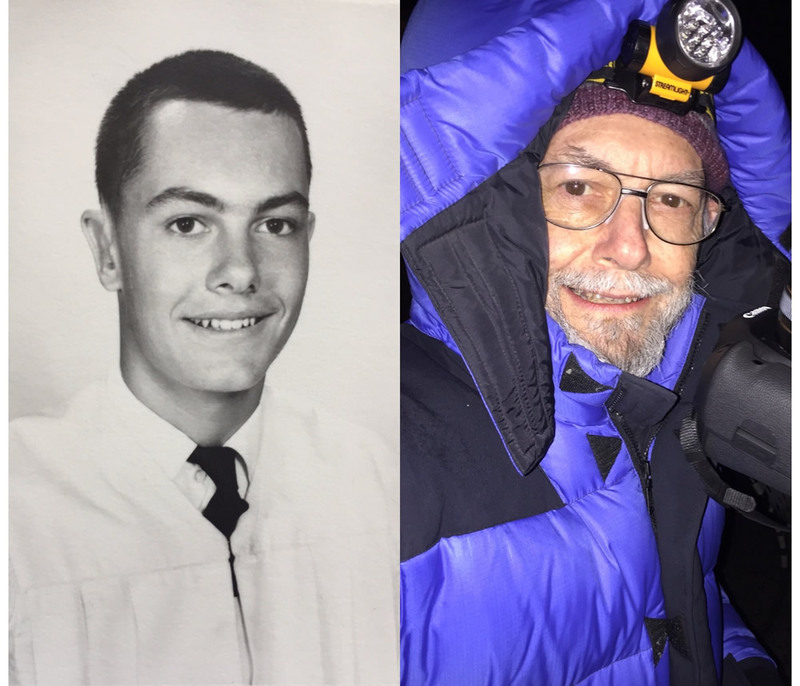 He graduated with the class of 1962, who are having their 55th reunion this weekend, which Commagère was excited to attend. He also attended Orange Coast College and finally USC Film School where he studied cinematography. Commagère, however, diverted his path to follow his love of classical music and launched Genesis Records Inc. in 1969, which gave a voice to many neglected Romantic composers including Hermann Goetz, Antonin Dvorak, and Julius Schulhoff, ultimately releasing over 70 LPs. Early issues featured Los Angeles-based virtuosos Adrian Ruiz, Gerald Robbins, and Jakob Gimpel, but the catalogue expanded steadily to include an impressive array of piano solo, chamber and concerto works, many of them premiere recordings. The label also joined the ‘70s ragtime revival, issuing pioneering recordings of lesser-known American ragtime composers Joseph Lamb, Joseph Scott, along with those of novelty composer Zez Confrey. He also collected and housed what is probably the largest collection of classical sheet music in the United States known as the Commagère Music Collection. Yet what made Commagère unique was his insatiable curiosity and infectious enthusiasm for everything from pugilism to entomology, Mexican Ranchera music to California native plants, cinema to astronomy, photography to track and field, and what he sometimes felt was his life’s work—genealogy, and later genetic genealogy. Among other lines, he traced his family line back to the 11th Century. Never a passive observer, he devoured all his disparate interests with an intense alacrity. His family will miss seeing him busy at the computer, excitedly comparing centimorgans while he blasted the works of Charles-Valentin Alkan, or taking long walks on the shores of Laguna Beach as he photographed the most poetic minutiae that only he could see. He was never seen without his camera, and there was no sunset too redundant or rock too mundane to immortalize. His passion for music will be carried on by his children in their own musical endeavors, but his enthusiasm, knowledge, kindness, and immeasurable love will forever leave a gaping hole. He is survived by his beloved wife of 44 years, Ramira; their children Kerstin, Anton, Carla, Juliette and Robert; their spouses/significant others Hans Hagen, Joachim Cooder and Sasha Speilberg; and his grandchildren Hana, Lyric, Paloma, and another grandson on the way. He was laid to rest in Corona del Mar at the Pacific View Memorial Park on Aug. 27.